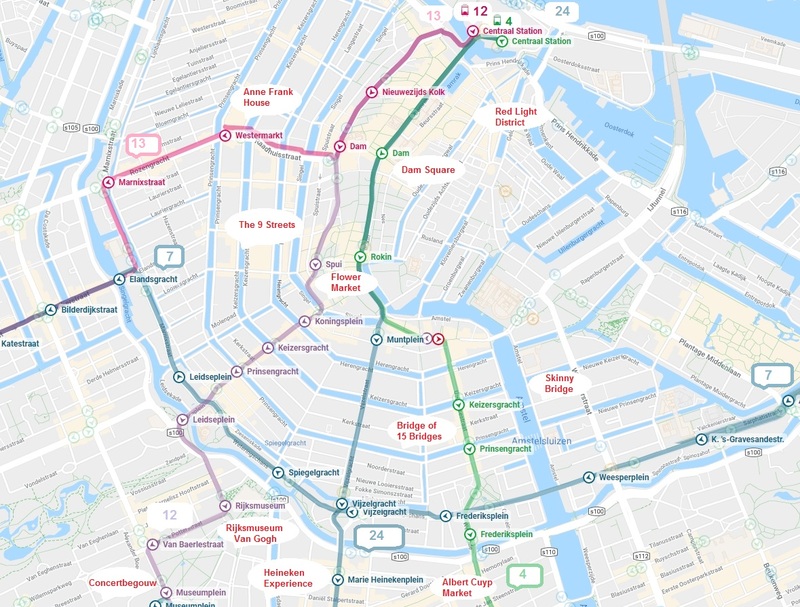 Here are a collection of Official Amsterdam Transport Maps updated for 2019. The word “official” appears because these maps are copies of the transit maps put out by transport companies themselves. These Amsterdam Transport Maps are quite accurate, but not entirely helpful for most tourists. Tourists typically stay within the canals and therefore don’t need a confusing map with every tram, bus, and metro stop crammed into one small map. So on this page you will find the official Amsterdam Tram Map, Bus Map, & Metro Map. 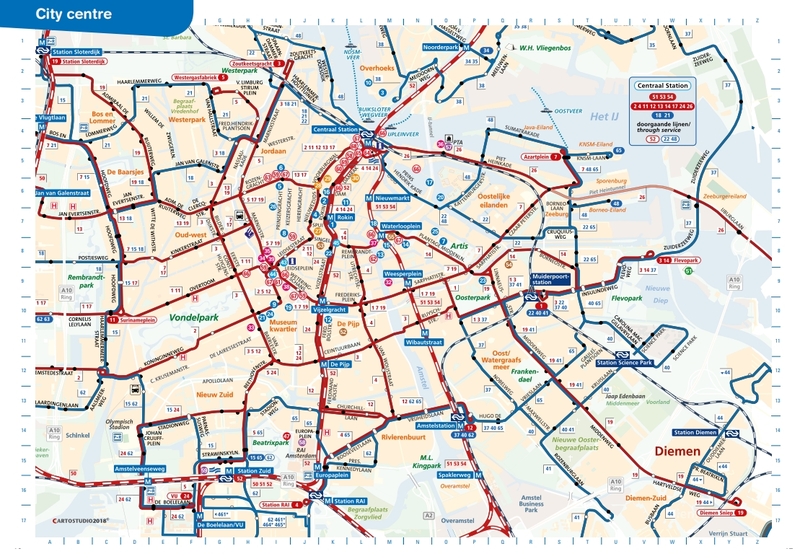 You can find a series of helpful Amsterdam Transport Maps at the following links. 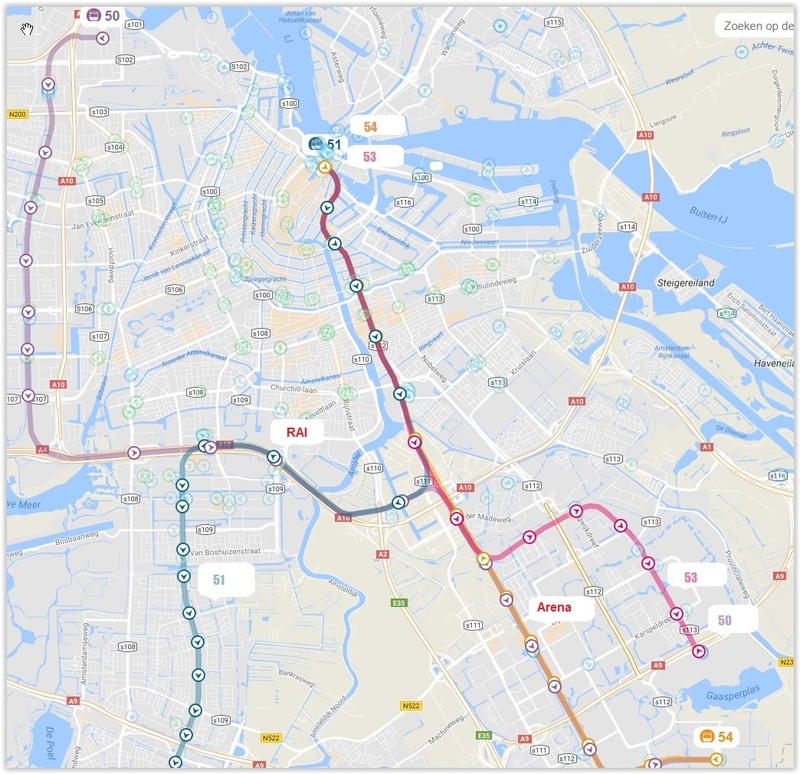 These maps have been edited or created to give a clearer picture of the Amsterdam Transport System for a tourist. 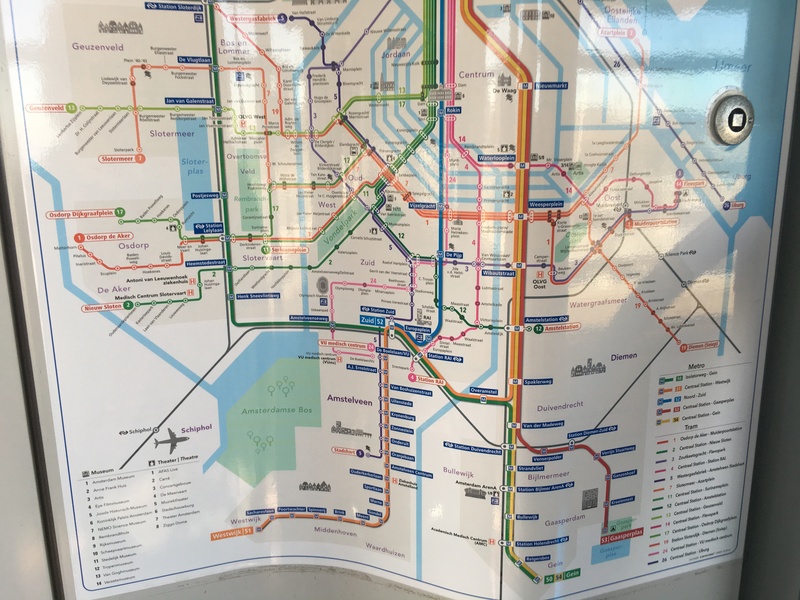 By using our helpful maps, you can plan trips using only trams, or going as far as planning a trip from Amsterdam to Den Haag with stops in between. Here is a map showing the entire Amsterdam Tram Map. Amsterdam trams can get you almost anywhere you want to go in the city except RAI and Amsterdam Arena. Take the trams knowing that they are inherently slow and can’t speed along running over citizens and tourists as they go. It is quite possible you can stay at an Amsterdam Hotel located in “The Center” and still have a 20-30 minute tram ride into Dam Square or Centraal Station. Kind of like the tortoise, slow and steady is the tram. You can minimize the amount of trams you need to use down to 4 if you follow our Best Amsterdam Tram Map. Here is a three part extravaganza, showing all the tram, bus and metro lines and stations. 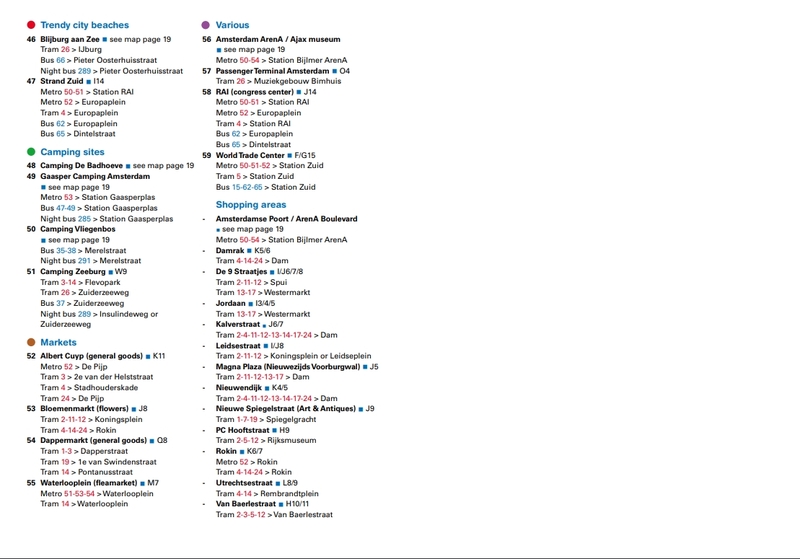 In addition it has most of Amsterdam’s attraction listed in a huge, almost unusable two page guide! If you ever needed a lesson on how less can be more, take a look at these maps. If you could find a way to cram more information into a smaller area and make it any less usable than this, you have a future as a do-it-yourself furniture assembly manual writer! The Amsterdam Metro system is quite small consisting of only 4 trains. Unfortunately the main spur of the Amsterdam Metro system heads out of Amsterdam Centraal to the southeast. This pass means the metro does not go near many, if any, big tourist attractions. One of the trains, line 50, does not stop at Amsterdam Centraal. It does connect Amsterdam RAI and Amsterdam Arena so it can be used for that purpose but not much else. Metro Line 51 runs from Amsterdam Centraal to RAI. Metro Line 54 runs from Amsterdam Centraal to Amsterdam Arena. Metro Line 53 goes to Centraal Station but heads out to an eastern suburb. For almost every tourist Line 53 is only good for short hops between Centraal station and the first 2 metro stops because you don’t feel like walking. The metro is much faster than a tram for this purpose. Why you would want to get on a bus in Amsterdam is beyond me. There are some experts on TripAdvisor who advice tourists that a bus may be an option, but it’s an idiotic option in most cases. It is always longer, rarely cheaper, and you are on a bus. Amsterdam may be a magical place, but its buses are, like every other city’s buses, terrible. Basically you should NEVER get on an Amsterdam bus unless it’s the dead of night and all the trams have shut down. 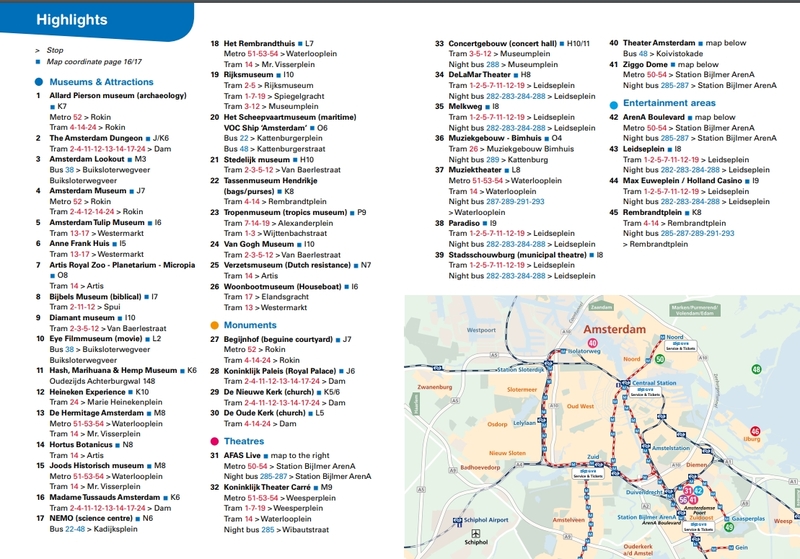 For those of you who refuse to listen to good advice or have a thing for buses, here is the Amsterdam Bus Map to make all your dreams of misery come true.